Linux operating systems (known as “distributions” or “distros”) have constant releases and updates, with some more substantial than others. Updates usually bring minor fixes and tweaks, but occasionally new distro releases or iterations can yield major changes. Picking the right distro depends on several factors. 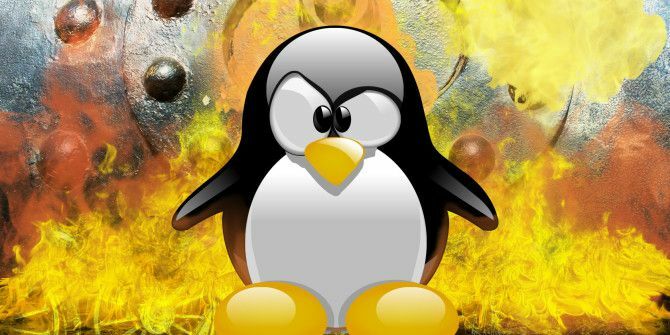 Whether it’s a fresh release or major update, check out these new Linux operating systems and who should try them. Who should try this: Anyone working with containers. Container Linux is therefore suited more to enterprise environments and power uses. But with support from the likes of Plex (check out the awesome new official Docker image) there’s a ton of incentive to try out CoreOS Container Linux or one of its flavors. Raspbian is a Debian-based Raspberry Pi operating system. Raspbian PIXEL (Pi Improved Xwindows Environment Lightweight) arrived as an update to the Raspbian operating system in September 2016. In December 2016, PIXEL for PC and Mac dropped Revive Your Old PC Raspberry Pi-Style With PIXEL Revive Your Old PC Raspberry Pi-Style With PIXEL If your computer can run Debian, it can run PIXEL. Not sure what PIXEL is? Here's what you need to know and how to get it running. Read More . This lightweight distro aims to breathe new life into aging hardware 13 Lightweight Linux Distributions to Give Your Old PC a New Lease of Life 13 Lightweight Linux Distributions to Give Your Old PC a New Lease of Life These flavors of Linux are light on CPU and RAM, meaninig they run great on older and weaker devices! Read More . Who should try this: If you’ve got an old PC lying around collecting dust, PIXEL is an excellent way to resurrect it. Sure, you’ll still be limited in what you can do with it (no, it probably can’t run Crysis), but at least it’s functional. Ubuntu isn’t exactly new, but 2016 saw major updates to both the long term service (LTS) and standard versions. If you’re looking for a reason to try Ubuntu 16.10, Yakkety Yak, try these five compelling arguments 5 Reasons Why Ubuntu 16.10 Yakkety Yak Is Worth a Look 5 Reasons Why Ubuntu 16.10 Yakkety Yak Is Worth a Look A year on from Ubuntu 16.04 LTS, a new version has been released. But is the interim release, Ubuntu 16.10 Yakkety Yak, even worth installing? Or should you stick with your current Ubuntu version? Read More , such as getting to try Unity 8, updated GNOME apps, and Linux kernel 4.8. These six huge reasons 6 Big Reasons to Upgrade to Ubuntu 16.04 6 Big Reasons to Upgrade to Ubuntu 16.04 A new LTS release of Ubuntu means security and stability. Whether you're upgrading or switching from Windows, let's take a look at what's new in Ubuntu 16.04 Xenial Xerus. Read More to upgrade to 16.04 Xenial Xerus prove the updated LTS iteration is worth using. The dash no longer displays Amazon searches, there’s a new software center, and you can move the launcher to the bottom of the screen. Who should try this: For Ubuntu in general, anyone looking for a general purpose operating system should grab Ubuntu. Particularly, Ubuntu and most of its derivatives are pretty beginner friendly, so I’d recommend this for anyone making the foray into Linux. My first experience with Linux was installing Lubuntu on an ancient Shuttle XPC system. Who should try this: Those looking for an enterprise class server environment. It’s particularly useful for sysadmins and developers, but any desktop user that needs a solid server set up should consider openSUSE. Alternately, openSUSE has been around quite a while, so it’s just a reliable desktop environment for general uses. OpenELEC is one of the premiere media hub operating systems. This incredibly lightweight home theatre PC (HTPC) distro 9 Awesome Linux Media Center Distros for Your HTPC 9 Awesome Linux Media Center Distros for Your HTPC Linux distributions offer a flexible, more versatile solution to creating an awesome HTPC than Windows. Looking to build a HTPC? There's a slew of fantastic Linux media center distros awaiting. Read More offers the superb Kodi media center. Although OpenELEC may not exactly be new, its latest release 7.0.0 is pretty major. 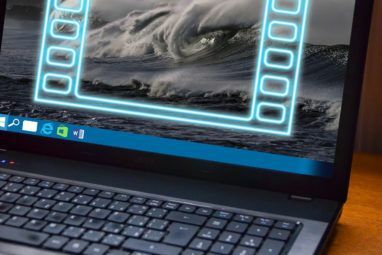 The newest iteration lends improved AMD GPU drivers, Kodi 16, Bluetooth and OpenVPN support, as well as WeTek Core device support. Who should try this: Media enthusiasts seeking a functional and customizable Linux-based distro. Plus, it’s capable of running on a loads of hardware including the Raspberry Pi. Who should try this: Gamers, and gamers only. SteamOS is an operating system built around Steam. If you’ve got a substantial Steam library, you can cobble together a decent DIY SteamOS rig or purchase an official Steam machine. Out of the titles in my library, almost 40 are Linux compatible. Side note: Any volunteers to hide my wallet during the next Steam sale? Please let me know. Linux Mint persists as one of the top Linux distributions. It’s powerful yet intuitive and comes pre-loaded with loads of software. Therefore, Linux Mint is a stellar out-of-the-box solution. Linux Mint 18.1 Serena is among the recent iterations. In December 2016, Linux Mint 18.1 Serena Cinnamon made its debut. Also in December 2016, Linux Mint 18.1 MATE dropped. This LTS distro gets support until 2021. Thus, Linux Mint Cinnamon is a great stable operating system. Who should try this: Anyone looking for an easy to use, clean, lightweight Linux distro. While Linux Mint is lightweight, it’s a stellar pick for top tier hardware as well. Since Mint 18.1 Cinnamon and MATE are long term solutions, both are excellent choices for a stable environment. Solus highlights security and stability. This independent Linux distro uses the eopkg package manager and the Budgie desktop environment. Initially launched in 2011, what was then SolusOS debuted as a Debian-based distro. It’s now a built-from-scratch distribution, and version 1.2.1 hit in October 2016. Solus 1.2.1 remains the final fixed point release, with subsequent iterations following as rolling releases. What makes Solus a superb Linux distro is its unique desktop environment, as well as bevy of pre-installed applications. Transmission, VLC, and Firefox come already installed. In November 2016, Distrowatch listed Solus as 20th in its 6-month page hit ranking list, proving its popularity. Who should try this: The average user. Solus is an elegant operating system and promises a quick start up time because of its impressive standard apps. The Ubuntu-based Elementary OS stays true to its name. By focusing on the elements of an operating, Elementary OS provides a solid foundation. Its continuing mission is to eschew unnecessary installations. The preloaded app landscape is pretty barren. Elementary OS lends itself well to beginners through a streamlined experience. A reduction of necessary terminal access and software dependencies further improves user friendliness. Although Elementary OS is undoubtedly customizable, its core values differ from many GNU/Linux projects. Rather, Elementary OS fosters a low learning curve. Elementary OS is a viable Mac and Windows replacement. Who should try this: Beginner Linux users look no further. Elementary OS reigns supreme as the gentlest Linux distro. Yet Elementary OS is best for those that wish to use a Linux distro, not necessarily understand it. That’s largely because Elementary OS diminishes the need to use the terminal or worry about dependencies. So if you just want a simple, clean Linux environment, Elementary OS is perfect. But if you want to get hands on with Linux, keep searching. Arch Linux abides by the KISS mantra: “Keep It Simple Stupid.” This operating principle results in an elegant, minimalist distro. The lightweight Arch Linux comes in varities for x86-64, IA-32, and ARM devices. A rolling-release model means regular updates. A quick perusal of the updates page shows almost constant iterations. From C libraries for websocket clients to open-source MQTT brokers, Arch Linux is the beneficiary of many updates. Arch Linux spawned several derivatives including the popular LinHES and PacBSD. Who should try this: Arch Linux and several of its derivatives persist in popularity with users who need a lightweight distro. Arch Linux can be great for a server set up because of low system resource consumption. Plus, it’s a great fit for older hardware as well as low-power ARM devices. If you’re familiar with the Raspberry Pi, you’ve probably heard of the fantastic RetroPie distro 7 Fantastic RetroPie Game Stations You Can Build This Weekend 7 Fantastic RetroPie Game Stations You Can Build This Weekend Retro gaming is soaring in popularity. These 7 awesome RetroPie game stations can all be built in a weekend with hard work and a Raspberry Pi. Read More . RetroPie is based on RetroArch and EmulationStation which load a front end for retro gaming. It’s pretty simple to set up. Recalbox is a relative newcomer, and while it offers much of what RetroPie boasts as well, Recalbox is a bit more intuitive. While RetroPie requires mounting an ISO to a microSD card How to Install an Operating System on a Raspberry Pi How to Install an Operating System on a Raspberry Pi Here's how to install an OS on your Raspberry Pi and how to clone your perfect setup for quick disaster recovery. Read More , Recalbox is as simple as dragging and dropping a folder. Recalbox provides PlayStation 3 controller support out of the box (you’ll need a Bluetooth adapter if you don’t have a Raspberry Pi 3). Lifehacker compared RetroPie and Recalbox in an October 2016 article. The write up concluded that Recalbox is better for beginners while RetroPie is more suited to enthusiasts. Having used both, I do appreciate the simplicity of Recalbox as well as its standard inclusion of Limelight. Although both operating systems feature Kodi, RetroPie lacks controller navigation. Recalbox though allows for controller use with Kodi. But despite functioning properly, my wireless Xbox 360 controller kept blinking annoyingly with Recalbox. Luckily I found a workaround through a quick .conf edit. Who should try this: Gamers and media buffs. Raspberry Pi enthusiasts. If you value lots of customization and tweaking however, RetroPie might better fit your needs. 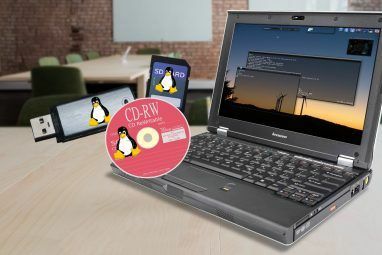 Determining the best new distro often comes down to hardware and purpose. If you’re using a laptop or desktop, you’ve got a lot of choice. Using a device like a Raspberry Pi narrows the selection. Specialization helps shorten the list of potential distros. For instance, if you’re setting up a server, you should select an appropriate release like openSUSE or CentOS. Gamers will want SteamOS or Recalbox and RetroPie if using a Raspberry Pi. Security enthusiasts (or Mr. Robot fans) may be interested in Kali Linux. What are your top new Linux distros or releases? Moe - I will hold your wallet during the next Steam sale...just as a good-hearted show of support for a fellow user. No problem, no need to thank me, happy to help. Uh.....what's the PIN for your bankcard, you know, just in case? Fantastic comment, laughed my coffee out! I wonder if the author has read the title? OpenSUSE, Arch, Ubuntu, Elementary, Core/Container, Mint, OpenElec have been around for quite a few years. We get a new version of each every six to twelve months. Solus and SteamOS are somewhat new, if one considers 3-4 years 'new'. Pixel and RecalBox are the only two distros that can be called 'new'. Fedora distro is a good linux . Fedora is worth a mention too please. It's one of the most packed, flexible, powerful, stable and yet cutting edge distros out there. u talk of linux and don't mention fedora/red hat, which linus torvalds uses! (xfce fedora). It's Arch based with Elementary OS entry level. I really see desktop Linux a dead end. After 20 years of trying to give away for free, all distros together account for a pitiful 1-2% of all desktops. And desktops themselves are a shrinking segment of all personal computers/devices!! Microsoft owns the shrinking desktop world -- while a fierce two-horse race still rages on in the mobile world. Even Microsoft recognizes this, and tries desperately to insert its apps (Office, etc.) into the Android and iOS walled gardens. Linux distros? A no-show every which way! Nonsense. Time and time again I've read comments about Linux not being relevant, or not having enough marketshare on the desktop. Bottom line? Linux wasn't "aiming" for the desktop segment upon inception. And because it was geared towards geeks and tinkerers, it found its way into the enterprise (where the world's largest majority of geeks and tinkerers exist!) hence it becoming the de-facto standard for servers, supercomputers, remote systems and a whole lot more. Its not that Linux HASN'T gotten it's share of the desktop market, it's that Linux WASN'T EVEN AIMING for that TARGET! Because rest assured, had it been?...MS and Apple would already have been moved to the backseat! Don't hate on the only operating system that is TRULY free and open! 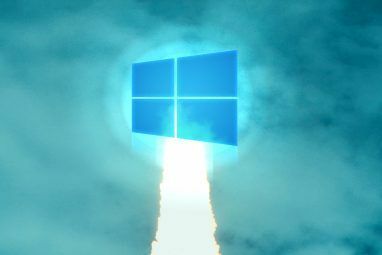 Stop and think about when MS hit the market, and when Linux came along, and then consider that today even those who DON'T like or use Linux...KNOW about it!...so yeah....it wasn't looking to make a name for itself in the desktop market...it just wanted to "play nice" with WIndows...but because Gates, and Ballmer etc. decided they felt threatened because of it, the Linux community had to INVENT or adapt everything that exists there now....which is a feat unto itself. It's one thing to write drivers for hardware that comes with an OS, it another thing to write drivers for stuff that PURPOSELY does its very BEST to PREVENT you from doing JUST THAT!